Apple is ok with competitors who try to design and innovate their way into legitimate competition with the iPhone and iPad. What Apple is not ok with is when a competitor outright copies the look, feel, and UI of one of their devices. 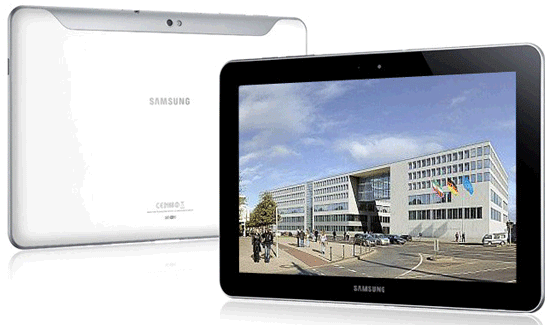 The most blatant culprit so far seems to be Samsungs Galaxy Tab 10.1 Android tablet – Honeycomb Android OS I might add. Today, Apple has gained a significant advantage in shutting down copycats when they were granted a preliminary injuction against Samsung’s Galaxy Tab 10.1. The injunction against Samsung is applicable immediately in Germany, and if Apple gets its way in the courts, the ruling will be granted EU-wide which will dramatically hamper Samsung’s global sales of the 10.1″ Galaxy Tab. It’s hard enough for competitors to innovate on the Android OS platform to try and compete with Apple, but with Apple also shooting down competition in the courts worldwide, the field of competition is getting even harder. Looks like Apple will be the dominate player in the smartphone and tablet marketspace for quite a long time to come.